Post the reading challenge on your blog - make your own post(s), or stick the button on the side of your page. The more the merrier, after all. Let's build a big community of Victorian literature lovers! Put in your blog name so that others can find you. 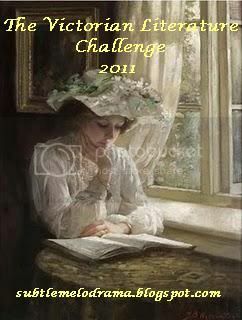 Please post the URL of your post about entering the Victorian Literature Challenge so that others can see what level you've chosen and can be inspired by the books you plan to read.